Fast food chain KFC, the new Danny Boyle movie Trance and the West End musical The Bodyguard are the first to take advantage of out-of-home media owner Clear Channel’s new platform. 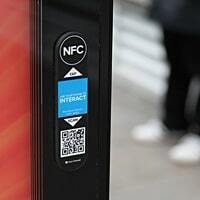 Work on out-of-home advertising giant Clear Channel’s network of 10,000 advertising panels equipped with NFC capabilities is now complete and details of the first advertisers to make use of the platform have been announced. “From this week, consumers will be able to deepen their engagement with thousands of Clear Channel’s sites by tapping or scanning their mobile device on interactive panels on high streets and in town centres right across the UK,” the company says. “At launch, consumers who tap or scan interactive panels next to adverts for upcoming Danny Boyle movie Trance will be able to watch film trailers; Dewynters will offer video clips of the West End musical The Bodyguard; while panels next to KFC posters will provide a proximity search that will let consumers find their nearest restaurant. “The landmark platform also gives advertisers the opportunity to deepen their interaction with consumers by offering interactive content and social media integration, while consumers will be able to use their smartphones to download vouchers and promotions. Clear Channel has been working to convert the sites to enabled NFC and QR code-based interactive advertising since December 2012. The platform is supported by a full reporting network to help brands effectively track responses.